Computers on sale at Microsoft Store! Save $50-$500 on select PCs. Get the perfect holiday gift starting at just $99. Applies to PCs & accessories, for students & teachers. Click for academic pricing and offers. Save up to $150 on a Surface Pro 3 and accessories. Limited time only - save $10 on Kinect for Xbox 360. Whether you’re gaming, writing an essay, or organizing data in a spreadsheet on your computer, you have one company to thank for making it easy. Microsoft’s Windows operating system, Office suite of programs, video game consoles, and other products have transformed the way we live. Get the latest technology from the number one software designer in the world using a Microsoft Store promo code to boot up big savings on everything from computers to the software making them run smoothly. Since 1975, Microsoft has developed solutions to make personal computers accessible to the masses. Over one billion people rely on Microsoft’s Windows operating system to power their computers. Quite simply, the PC market would not exist without Microsoft. Windows makes it easy for users to navigate their desktop, connect to the Internet, and install software to tackle any task – and with the release of Windows 8 things are only getting better. On top of providing the operating system that makes computing possible, Microsoft’s software opens the doors to the Internet and word processing for PC and Mac users worldwide. More people access the web using Microsoft’s Internet Explorer than all other browsers combined. Furthermore, Microsoft Office, which includes Microsoft Word, Excel, and PowerPoint, has become an indispensable tool for the home and office. That’s just the tip of the iceberg. Microsoft’s complete line of software gives student and professionals to the tools to publish from home, design websites, record audio, and more. Microsoft may have made a name for itself with computer technology, but the company’s Xbox 360 video game console has become equally ubiquitous. From NBA locker rooms to family entertainment systems, these high-performance machines give users the ability to play the latest games online with friends, stream movies and watch DVDs, and store and listen to music all in one place. With an award-winning Kinect at the helm, users can forget about hitting the right buttons, and move about with their body as a controller. Now, that will make you jump with joy! Though the Microsoft Store puts an emphasis on their own technology, they also sell products that enhance the Microsoft experience. The online store offers great prices on computers from top manufacturers including HP, Samsung, Asus, and Vizio all running Windows. They even sell Windows-powered smartphones on AT&T, T-Mobile, and Verizon’s networks giving users the ability to stay connected on the go. Microsoft’s story has been ingrained in American folklore. Childhood friends and co-founders, Bill Gates and Paul Allen, joined forces to launch the super-company on April 4, 1975. When the pair released MS-DOS in 1981, Microsoft solidified its spot as the dominant player in the computer field we still know it as today and propelled Gates and Allen to international fame and incredible wealth. Whether you are looking for a new computer, an operating system upgrade, software to power your next project, or just want to add a little fun to your life – the Microsoft Store has just the thing. Join billions of satisfied customers and get the technology you need and get it for less with an exclusive Microsoft coupon code from CouponPal. Going into the holidays, we all have a tendency to, eh, put on a few pounds. Add to that, everyone has differing agendas, and it's rare we find a pastime that we can enjoy regardless of age. After all, you can only play so many rounds of Uno before it gets old. Enter the Kinect for Xbox, from Microsoft. Sure, it's been a couple of years since it launched, but it's still every bit as much fun. An active, family-friendly activity? Sign me up! Check out this video from Microsoft Store where you'll see the Kinect in action. Now you can save $40 off the Kinect, so either buy it right now and enjoy it over the coming holidays, or wait until Black Friday and hunt down an even better deal. We'll have all the Microsoft Store promo codes listed right here, ready for you to save. Microsoftstore.com provides online access to all things Microsoft including hardware, software, accessories, phones and a help desk. 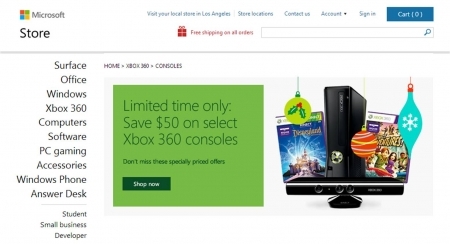 You can save instantly on everything they carry with cost-cutting Microsoft Store promo codes. Most Microsoft promo's do not require codes. Below are instructions on how to ensure your purchase will have the savings applied automatically. 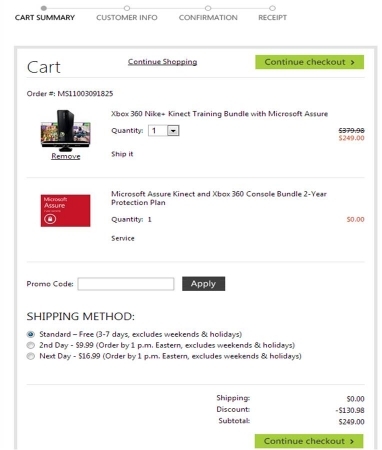 After locating the Microsoft Store promotion you want to apply to your purchase, click the corresponding "View Deal" button on the Couponpal Website. 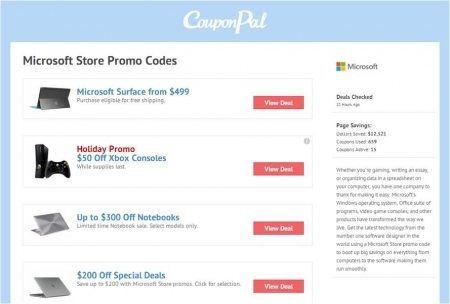 The "View Deal" button on Couponpal will pop open a new window directly to Microsoftstore.com. The new window will bring you directly to a landing page that corresponds with the Microsoft Store promotion that you have clicked on. You will now shop on the Microsoft Store website. Add all desired items to your shopping cart by clicking the "Buy Now" icon. The "Buy Now" icon may look like this. Microsoft Store promotions will automatically be applied. You will know it has been applied when the retail price next to your item has a slash through it and a new promotional price is listed below it in red. If Couponpal has provided you with a Microsoft Store code, there is a Promo Code box for you to enter it now. Continue with your Microsoft Store checkout. The final steps are to fill out your personal contact information, confirm that everything in your order is correct and then you will see and receive your receipt. Three utter defeats later, they’re giving me pointers on my bowling motion. I make some adjustments and I can see for myself that the Kinect is picking up on what I’m doing. No matter how long or what game I’m playing, it’s still cool to see myself up there on the screen. It also feels good to see my kids so enthusiastic about spending time with me and mastering their hand-eye coordination. We all play a couple of more games and then put the kids to bed. My wife clicks on the TV and I take the Xbox into the bedroom and start working on my game. Seeing how the kids are using it so much now, I decide I want one just for myself. I go online with the Xbox, use an Xbox coupon code AND a Kinect coupon code to buy a new system, and spring for next day delivery. The kids can have the old one. Sorry, guys – fun is fun and I love you, but next time Dad is taking no prisoners. Whether you’re in the market for a new PC, a laptop, or a tablet, the Microsoft Store has you covered. It’s hard to imagine a time when Microsoft wasn’t the go-to for all things computer-related. Currently, more than one billion people around the world rely on their operating systems. Here are a few questions you might have while using the Microsoft Store site. Why isn’t my Microsoft Store promo code working? If your Microsoft Store coupon isn’t working, there are a few things you can check. First, look to see if there is an expiration date or minimum size order attached to your deal. You can also make sure that the coupon you’re using corresponds with the products you’re purchasing. Some coupons only apply to specific items. Check to see if any of these restrictions are preventing your code from being applied at checkout. If you want to return a physical product (and not a download), you must first call 1-877-696-7786 to request a Return Material Authorization (RMA). As long as it’s within 30 days of purchase, Microsoft Store will process the return. After you ship your item back, they will arrange for an exchange or issue a credit to the original card you used. For more information, go to Returns and Exchanges. Shipping is free at the Microsoft Store! As long as you chose Standard Ground, you don’t have to pay a cent for your products. They do have UPS 2nd Day for $9.99 or UPS Next Day for $16.99 if you need your products quickly. The Microsoft Store currently accepts Visa, MasterCard, American Express, and Discover. 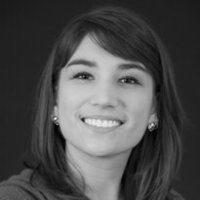 Where should I head if I need technical support? If you need technical support, you have a couple of options. You can go to the Tech Support site to find appropriate help for your specific product. If you want to speak to a representative directly, you can call 1-877-696-7786 (at the hours listed above.) One of these two places will help direct you to the right source to answer your questions.